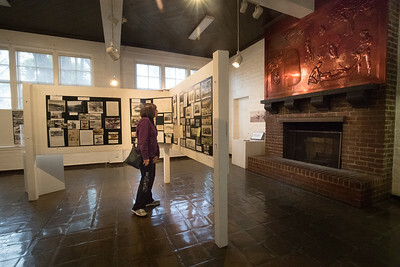 Patrons look at news clippings and old photos of the first structure in Castro Valley California. Raising chickens was there main business then. This exhibit is at the Abobe Art Gallery, 20395 San Miguel Ave, Castro Valley, CA 94546 Dec. 23, 2016. This building was built in the 1930's. An exhibit at the Adobe Art Galley, running through Jan. 7, provides a visual retrospective of Castro Valley over the past 200 years, dating back to the Ohlone Indians. The exhibit was curated by Castro Valley historian Lucille Lorge and Castro Valley resident Randy Vanderbilt. Kathy Fehely of Castro Valley looks at news clippings and old photos of historic Castro Valley, California. Raising chickens was there main business then. This exhibit is at the Abobe Art Gallery, 20395 San Miguel Ave, Castro Valley, CA 94546 Dec. 23, 2016. This building was built in the 1930's. An exhibit at the Adobe Art Galley, running through Jan. 7, provides a visual retrospective of Castro Valley over the past 200 years, dating back to the Ohlone Indians. 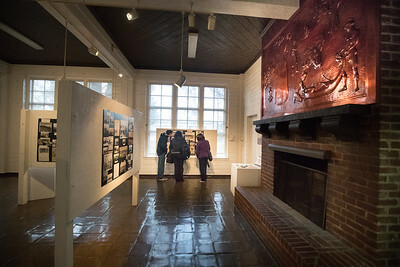 The exhibit was curated by Castro Valley historian Lucille Lorge and Castro Valley resident Randy Vanderbilt. 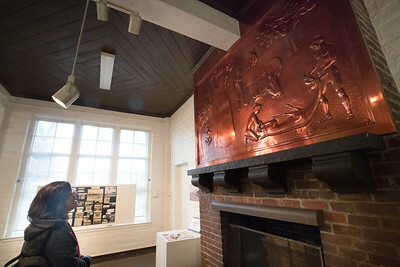 Kathy Fehely of Castro Valley looks at a large art piece mounted above the fireplace in the Abobe Art Gallery, 20395 San Miguel Ave, Castro Valley, CA 94546 Dec. 23, 2016. 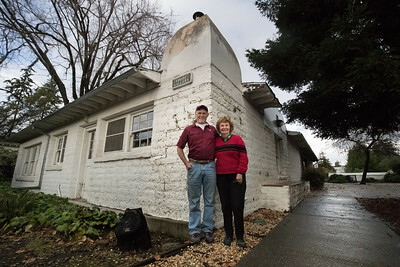 This building was built in the 1930's. An exhibit at the Adobe Art Galley, running through Jan. 7, provides a visual retrospective of Castro Valley over the past 200 years, dating back to the Ohlone Indians. 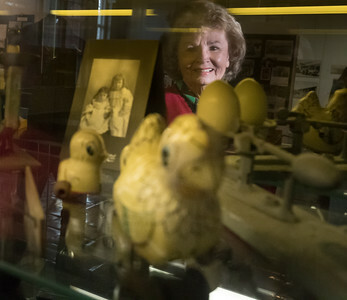 The exhibit was curated by Castro Valley historian Lucille Lorge and Castro Valley resident Randy Vanderbilt. 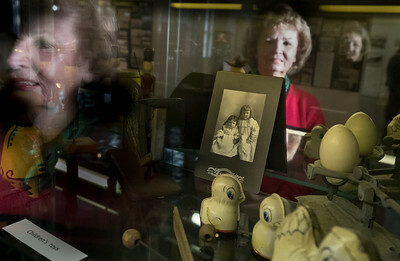 Lucille Lorge is reflected in a glass showcase filled with pieces from the past including a portrait of her great grandfather's nieces at the Abobe Art Gallery, 20395 San Miguel Ave, Castro Valley, CA 94546 Dec. 23, 2016. An exhibit at the Adobe Art Galley, running through Jan. 7, provides a visual retrospective of Castro Valley over the past 200 years, dating back to the Ohlone Indians. 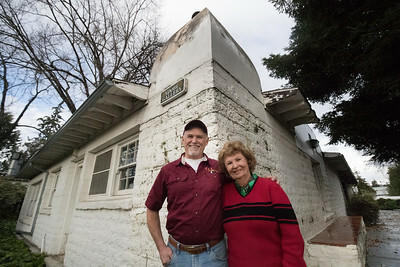 The exhibit was curated by Castro Valley historian Lucille Lorge and Castro Valley resident Randy Vanderbilt. 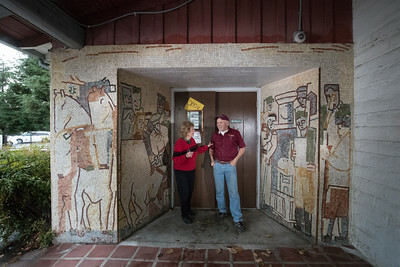 Lucille Lorge and Castro Valley resident Randy Vanderbilt at the tiled entrance of the Abobe Art Gallery, 20395 San Miguel Ave, Castro Valley, CA 94546 Dec. 23, 2016. An exhibit at the Adobe Art Galley, running through Jan. 7, provides a visual retrospective of Castro Valley over the past 200 years, dating back to the Ohlone Indians. The exhibit was curated by Castro Valley historian Lucille Lorge and Castro Valley resident Randy Vanderbilt. 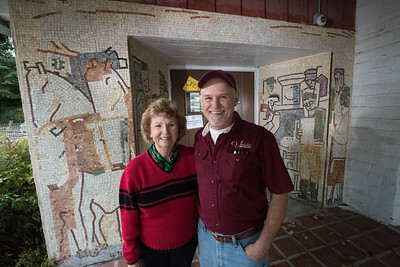 Lucille Lorge and Castro Valley resident Randy Vanderbilt at the 1930's constructed Abobe Art Gallery, 20395 San Miguel Ave, Castro Valley, CA 94546 Dec. 23, 2016. It was built on local Adobe made of dirt, hay and old timers say horse hair and manure. An exhibit at the Adobe Art Galley, running through Jan. 7, provides a visual retrospective of Castro Valley over the past 200 years, dating back to the Ohlone Indians. The exhibit was curated by Castro Valley historian Lucille Lorge and Castro Valley resident Randy Vanderbilt.